Keller Williams Realty associates are giving back to their local community by training young leaders from all walks of life. The program is called QL: A World-Changer Mindset, and it’s designed for young leaders 18-24 years of age. Most people struggle to implement new personal growth and work habits. But the reality is that we are all building habits – many of them are just accidental. Warren Buffett said the “Chains of habit are too light to be felt until they are too heavy to be broken.” He, of course, was referring to bad habits. The irony is that the adage applies to good habits too. Habits are like gravity – once established, they pull you down a path. Our goal with QL: A World Changer Mindset is to draw 18 – 24 year olds into a conversation that most at that age are not having. A conversation about short term pain and long term gain. A conversation that candidly lays out the implications of “not caring” when it comes to their post-school collision with life. Real talk. Life will happen and when it does, you will care. When Gary Keller was in his early 20’s he journaled to track the tricks and techniques he used to navigate some tough tough setbacks and challenges. Today we would call those those tricks and techniques “life hacks”. Ultimately Gary formalized his collection of life hacks into a 2-day course titled Quantum Leap. QL: A World Changer Mindset, was developed from that content and has been tailored specifically for young people in the early 20’s stage of life. Living life on purpose isn’t going to be easy but these life hacks helped Gary become a millionaire by age 29. They also became the foundation for Gary’s best-selling book The ONE Thing. Please don’t mistake this for just being about money though. This course is primarily about a life of focus, purpose, abundance and giving. The “millionaire by 29” reference was included here simply as proof that these principles can pay off financially too. Which is a good thing! Because our intentional dreamy lives are going to have to be funded. 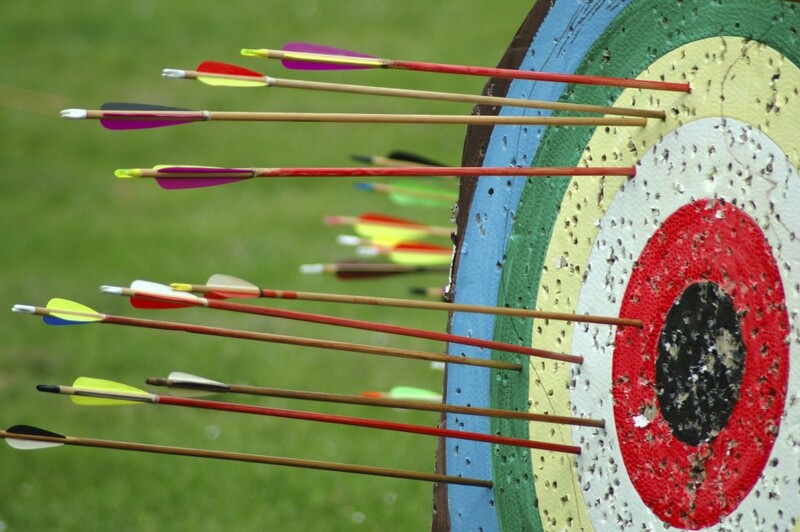 If you were an archer, QL would be those small adjustments that help you close in on the bullseye. In life, the QL Course involves small intentional adjustments that help you close in on the the life you were created to live. 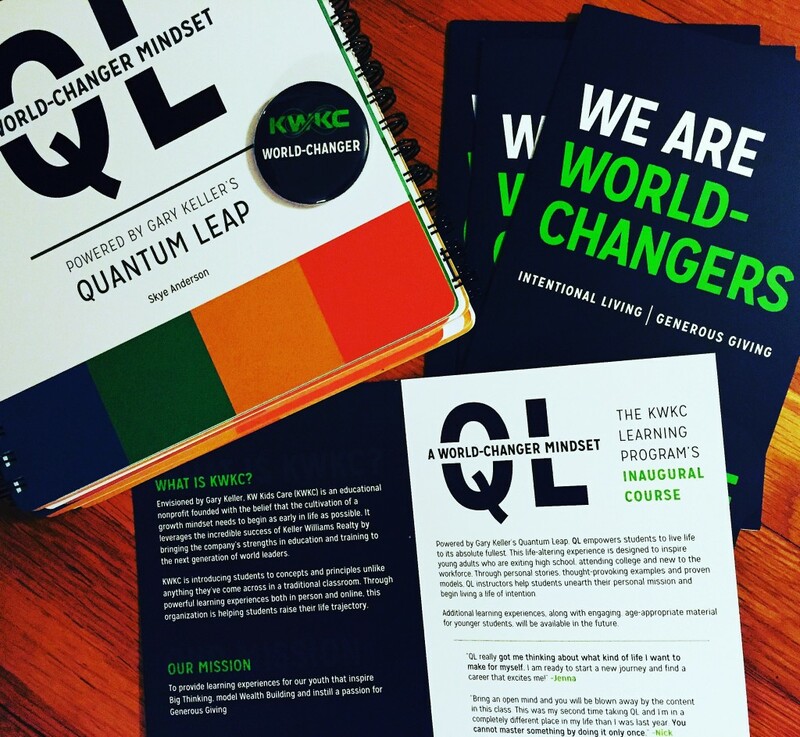 The QL: A World Changer Mindset course will be held in various locations around the U.S. as Keller Williams Realty associates teach the concepts in their local communities. The workshop on 11/7 will be held in downtown Sarasota. These events and course materials are being funded through attendee donations. The KW associates who are leading these courses are donating their time. The base cost of the materials is $25. Why is it limited to young people ages 18 – 24? That was precisely the period of time in Gary Keller’s life when he made some crucial decisions that led to him founding Keller Williams Realty – now the #1 Real Estate Company in the world. Just let that sink in… Gary chose to master a few simple things early on and over time those decisions added up to something that actually did change the world. QL: A World Changer Mindset was specifically crafted for young people in this age range. If you or someone you know is a young leader age 18 to 24, this could be a very powerful step towards gaining control of your life and your independence. That should put you on the fastest path to your dreams. And, THAT would be a day well spent! Yes, sort of. One of life’s realities is that your appearance needs to fit the stage. This is a business-minded event and as such, it is not a flip-flops, shorts, sweats, hang out with your friends gig. Dress like you want to be taken seriously and you will be. Jeans are fine – the goal is comfortable “office casual” attire. Do the sessions get recorded? No. The courses are designed to be a safe, guided “laboratory” where young people can wrestle with their lives without the pressure of having to “get it right” the first time around. It is a safe place and if anything gets shared following the course (other than the group photo), it will be at the discretion of the attendees and they will be doing the sharing. What if I have no dreams? Oh, you have them. You just may need to uncover them. QL should jump start that process. What if I just feel clueless at this point? Perfect! That is just how Gary Keller felt at your age. You will hear lots more about that during the session. “Clueless” is merely the starting point on a journey. That label only becomes an identity if you stay there. Visit www.WorldChangerCourse.com to register yourself or someone else for the 11/7 workshop in Sarasota. The last day to register is 10/31/15!